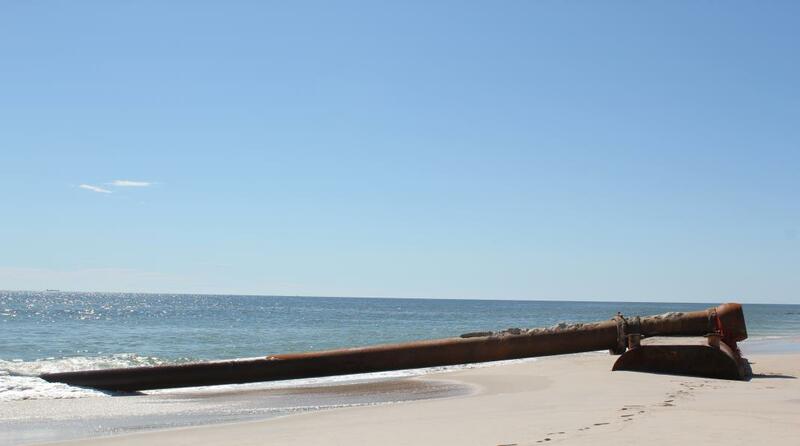 The Fire Island Inlet to Moriches Inlet Project is a one-time, stand-alone placement of sand to stabilize Fire Island until the larger Fire Island to Montauk Point (FIMP) project is implemented. Suffolk County and NYS Department of Environmental Conservation are the local sponsors of this US Army Corps of Engineer-designed and funded project. 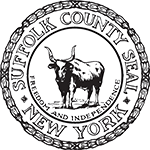 On June 29, 2018, Suffolk County certified to the New York State Department of Environmental Conservation ("NYSDEC") that it has acquired all fee acquisitions and easements for all Contract 3B Contracts, subject to acquisition of the remaining ten easements in Water Island. Although the County previously certified completion of real estate for Contracts 3B1 (Demolitions) and 3B3 (House Relocations), this certification completes the final phase of acquisitions in order to enable the United States Army Corps of Engineers ("USACE") to move forward with Contract 3B2 (Sand Placement). On April 24, 2018, USACE awarded Contract 3B1 to Brownie Companies of Long Island ("Brownie") and in June issued the Notice to Proceed. On September 10, 2018, representatives from USACE, NYSDEC, Suffolk County, Town of Brookhaven, FINS, the Fire Island communities and the USACE contractor met to discuss construction details and the schedule of work for FIMI Contract 3B at County offices in Hauppauge. Work in Ocean Bay Park is expected to begin the week of September 17th. Once work begins, weekly construction calls between the contractor, the municipal partners and community leaders from each of the impacted communities will occur in order to discuss status of the existing work as well as work to be conducted in the weeks ahead. Construction trailers in Ocean Bay Park, July 2018. Contract 3B1 – Demolitions. This contract involves all of the full house demolition work and partial demolition work in Ocean Bay Park, Point O’Woods, Fire Island Pines, Water Island and Davis Park and the work on Cayuga Avenue in OBP. Davis Park- 4 house demolitions (there will be a total of 7 house demolitions but the other 3 were later acquisitions and could not be included in the base contract). During the preconstruction meeting noted above, Brownie indicated that they expected to commence the actual demolition work in Ocean Bay Park on or about September 17th. The parcels without houses that need site clearings will proceed first to be followed by house demolitions with no asbestos. During the same time, asbestos mitigation in additional houses will commence to be followed by demolition. Creation of a right of way immediately south of the Fire Island Hotel between the right of way leading to the Hotel and Cayuga is scheduled to begin on October 15 and should be completed by the end of November. 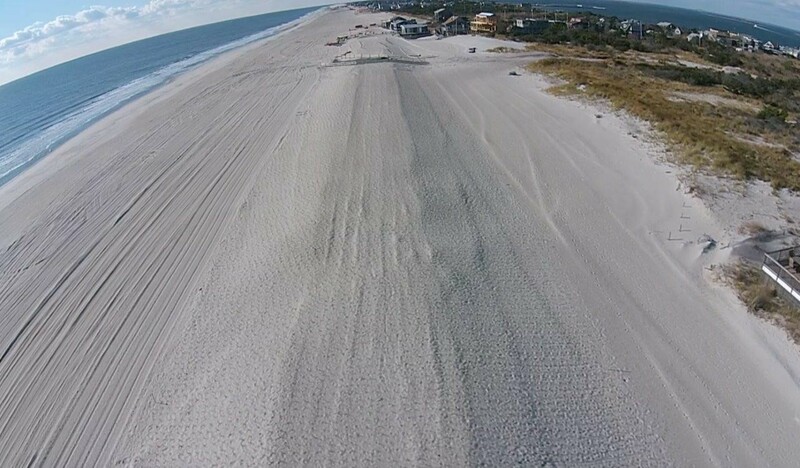 This work will not interfere with the ability to utilize the vehicular cut from Traffic Avenue to the beach. 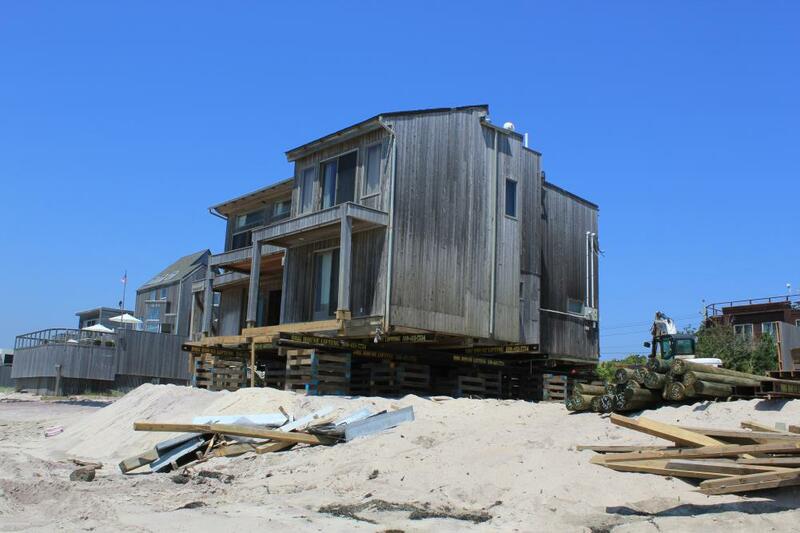 It is estimated that the demolition of the house in Fire Island Pines will occur in November 2018 and the demolitions in Davis Park will occur in November and December 2018. Davis park- 5 partial demolitions. Once an Option is exercised (work authorized) by USACE, Brownie will have 90 days to complete the work on that Option Property irrespective of the December 5 contract termination date. It is expected that Options will be exercised within the next 30 days in all communities. There will be approximately 2 to 4 weeks between the time an option is exercised and the time the work actually begins. As these options are exercised, owners of impacted properties will be notified accordingly and will be provided with more details concerning the schedule of work. Community leaders will also be notified of such schedules for dissemination to the community at large. Davis Park – July 2018 Contract 3B3 house relocation completed by owner. Contract 3B3-House Relocations. This is a contract for 5 house relocations on the same parcel in Davis Park. (2 owners have already commenced this work in advance of USACE which will leave 3 houses to be relocated by the USACE contractor). This contract was also recently awarded to Brownie but notice to proceed has yet to be issued. USACE and Brownie were not yet ready to discuss the schedule for work for this contract. Updates will be provided to impacted owners and community leaders as more detailed information becomes available. Contract 3B2- Sand Placement - This contract involves the construction of the dune and berm. The bid plans are under final review. The Presolicitation for this contract was previously issued. The formal solicitation of this contract should occur shortly with actual work beginning in late winter/early spring 2019. 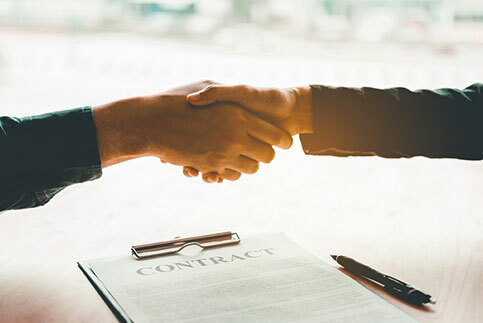 Contract award is contingent upon numerous factors including completion of work under 3B1 and 3B3 contracts and availability of dredge contractor. Ocean Beach - September 2017 Dredge pipe utilized for sand placement under Contract 3A. Ocean Beach - August 2017 Post construction of dune and berm. Contract 3B1 – This contract involves all of the full house and partial demolition work in Ocean Bay Park, Point O’Woods, Fire Island Pines, Water Island and Davis Park and the work on Cayuga Avenue in OBP. On April 24, 2018, the United States Army Corps of Engineers (“USACE”) awarded Contract 3B1 to Brownie Companies of Long Island (“Brownie”). 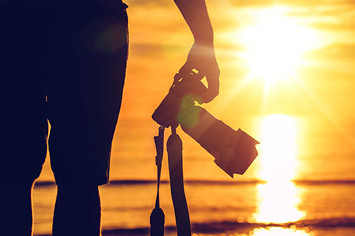 There are now numerous steps that must be completed before the work can actually begin. 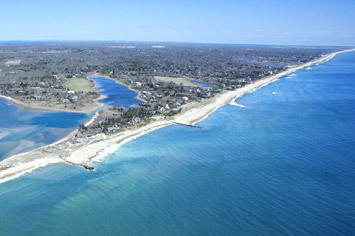 Brownie must submit Certificates of Insurance and Payment and Performance Bonds to USACE, Disability Insurance and Workman's Comp Insurance certificates to the Town and Village of Ocean Beach and submit a Storm Water Pollution Prevention Plan and Notice of Intent to the New York State Department of Environmental Conservation (DEC). This process is underway. A preconstruction meeting between Brownie, USACE, DEC, County and other stakeholders including community leaders and Fire/Rescue representatives will be scheduled after issuance of the Notice to Proceed which will occur once the above submissions are completed. Property owners will be updated immediately after the meeting as to scheduling. 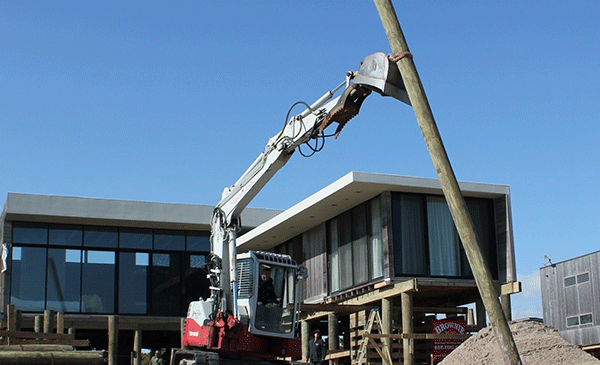 The demolition work should begin in Ocean Bay Park. 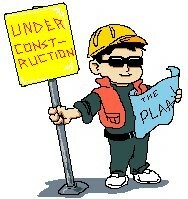 Following the preconstruction meeting and receipt of all permits, the actual work will then proceed. 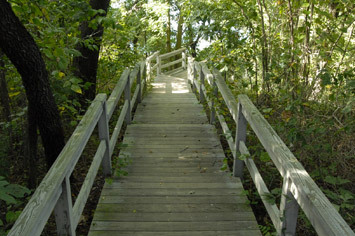 3B1 bid options involve properties where the USACE contractor will perform partial demolitions of decks, ramps, pools, dune crossovers (“Option Properties”) in all of the communities noted above. USACE will provide more details concerning the schedule of work for the Option Properties after the preconstruction meeting with Brownie. 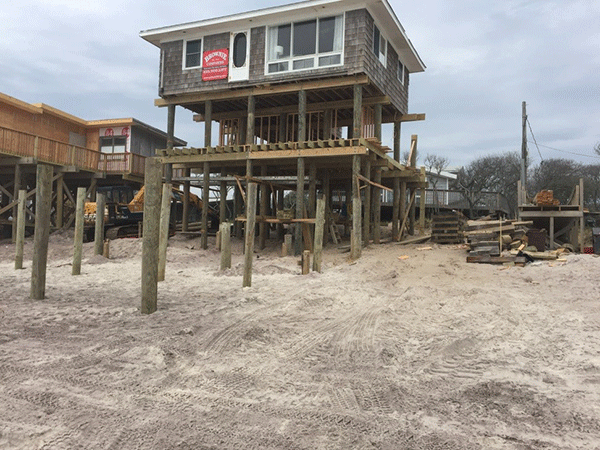 USACE will first want to observe the progress of work in Ocean Bay Park before they make any final determinations as to the exercise of options for the partial demolition work in Fire Island Pines and Davis Park. USACE has advised that owners will be provided reasonable advance notice as to when work will proceed on their respective properties. The County will arrange for transmission of building permits to owners or their designated representative after the Notice to Proceed has been issued by USACE and all permits have been obtained by Brownie. 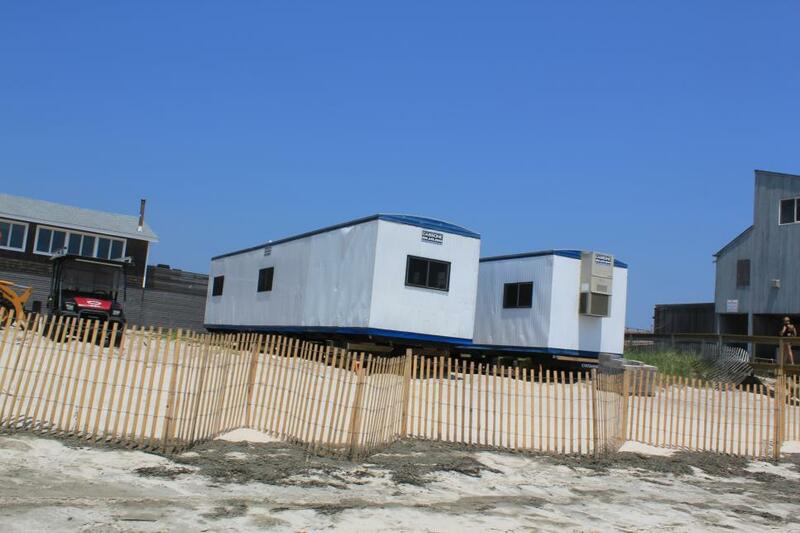 Owners must ensure that the original permits are located at their Fire Island residence when the work is performed. The County understands that field conditions may warrant modifications to the actual construction plan but any such changes must first be approved by the County’s engineering consultant. Contractors who change first and ask later are risking delays and increased construction costs which will be borne by the owner and or contractor. If any contractor wants to modify the construction plan based upon field conditions, a written Request for Information (“RFI”) containing the change sought and the reason should be submitted to Anthony Perez by email to aperez@debruinengineering.com who will immediately review and if necessary, will submit to the Town for approval. The County worked very closely with owners or their representatives to design these plans which were then thoroughly vetted by County and USACE engineers and approved by the Town. 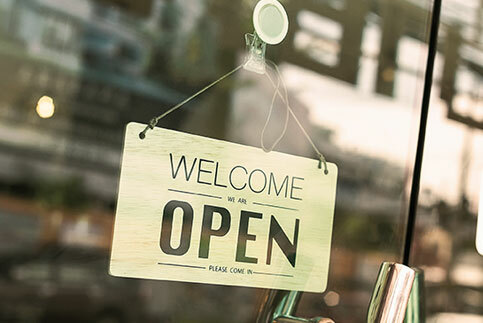 The County team worked closely with owners to preserve as much of their structures as possible and even slight modifications can result in an encroachment situation. Equally important, the structure was designed to New York State building codes and substitution of lesser materials or deviation from the pile installation plan could not only compromise the integrity of the structure but could result in the need to reconstruct the new structures. Although owners are not required to rebuild the portions of the structure that are in need of removal in order for the FIMI Project to be constructed, a precondition of construction is that the structure is built in accordance with the approved plans. The County has conducted routine inspections early in the reconstruction process and on occasion has been forced to stop construction because of significant deviations from the construction plans. This has not only resulted in delays in the reconstruction but has also resulted in additional costs to the owner and ultimately to the contractor. Contract 3B2 - This involves the sand placement work. The bid plans are under final review. It is expected that the Pre- Solicitation will occur later this month and that the contract will be awarded in late spring/early summer 2018 with sand placement work to begin AFTER the summer season (post Labor Day). The above is contingent upon the County obtaining the remaining outstanding easements. Contract 3B3- This is a contract for 5 house relocations on the same parcel in Davis Park. (2 owners have already commenced this work in advance of USACE which will leave 3 houses to be relocated by the USACE contractor). The Presolicitation (pre-advertisement of bid) was issued on February 27, 2018 and it is anticipated that the formal bid solicitation will be issued within the next week or so. A more definitive update will be forwarded to impacted owners when USACE awards the contract. Commencement of work is dependent upon contractor availability and schedule. Contract 3B3 - This is a contract for 5 house relocations on the same parcel in Davis Park. (2 owners have already commenced this work in advance of USACE which will leave 3 houses to be relocated by the USACE contractor). The Presolicitation (pre-advertisement of bid) was issued on February 27, 2018 and it is anticipated that the formal bid solicitation will be issued within the next week or so. A more definitive update will be forwarded to impacted owners when USACE awards the contract. Commencement of work is dependent upon contractor availability and schedule. Contract 3B1 – This contract involves all of the full house and partial demolition work in Ocean Bay Park, Point O’Woods, Fire Island Pines, Water Island and Davis Park and the work on Cayuga Avenue in OBP. In January 2018, the United States Army Corps of Engineers (“USACE”) bid Contract 3B1. The bids were opened on February 13, 2018 and the apparent low bidder was Chesterfield Associates, Inc. Thereafter, on February 22, 2018, Chesterfield requested to withdraw their bid due to an error in their bid proposal. USACE is currently undertaking Federal processes to release Chesterfield from the bid in order to enable them to award the contract to another bidder. It is expected that the new award will occur within the next two weeks. As a result of this glitch in the bid process, the work will likely not commence until early April. The County will keep updating the owners and community leaders as more information is received. Contract 3B1 consists of a base bid and supplementary bid options. The 3B1base bid primarily includes the properties where the County acquired title to the property and the house is being completely demolished and the creation of a right of way on the east end of Ocean Bay Park. The base bid work will proceed first. 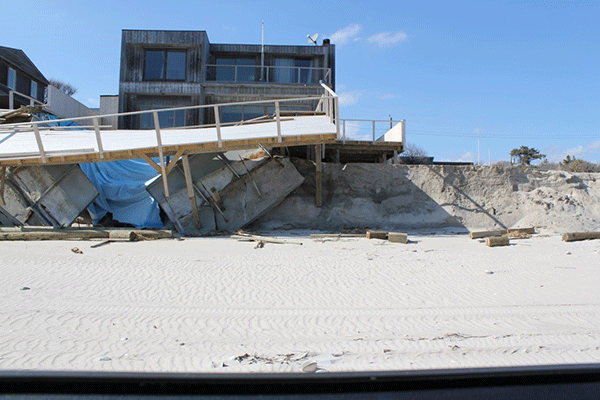 Because of time constraints on removing debris from the community in Ocean Bay Park, it is not yet known how the delay in implementing this contract will impact the demolition of the oceanfront houses on Traffic Avenue. The County will update the community and owners as more information is received by USACE. The 3B1 bid options involve properties where the USACE contractor will perform partial demolitions of decks, ramps, pools, dune crossovers (“Option Properties”) in all of the communities noted above. This work was included in the bid option format because all of the easement acquisitions had not yet been completed, and USACE cannot award contracts if all necessary lands and easements have not been acquired. By including this work as a series of options, USACE will be able to award the contract earlier and then exercise the options individually after easements have been acquired. At this time, but for a handful of easements that will be acquired shortly, the County has obtained all necessary lands and easements for the 3B1 Option Properties. The County will update owners as information is received as to when the contractor is expected to perform the partial demolition work on their respective properties. The County’s engineering consultant, deBruin Engineering, P.C will obtain the building permits from the Town of Brookhaven and transmit them to property owners after Contract 3B1 is awarded. 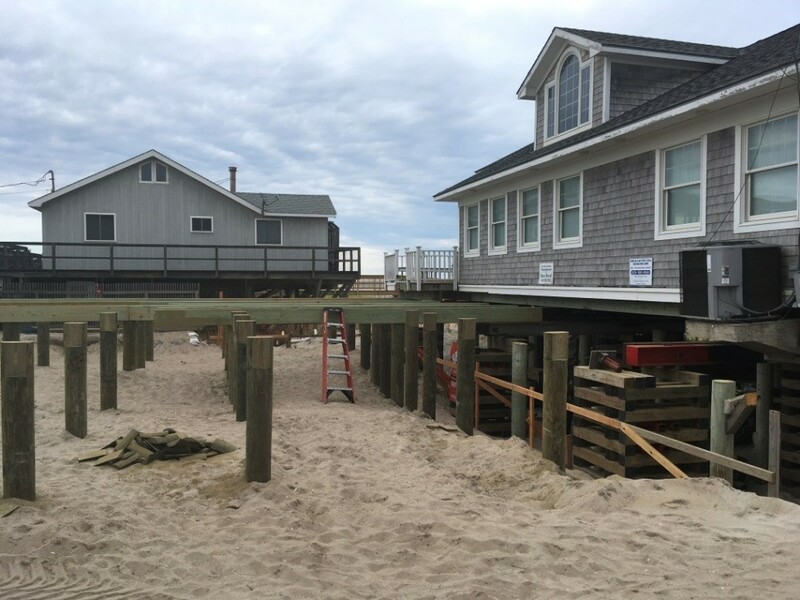 Owners must ensure the original permits are located at their Fire Island residence when the work is performed. 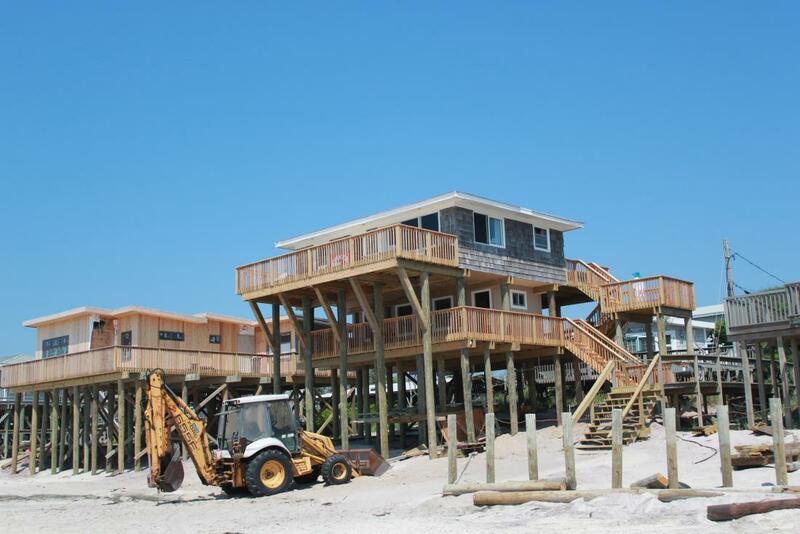 Who will do the demolition work – the USACE contractor or the owner’s private contractor? The USACE contractor will perform the demolition work. Owner’s contractors may do the demolition work in advance of the USACE contractor provided the owner agrees to: 1) accept the amount offered for the demolition work (“Demolition Cost”) as a final payment and waives any right to make a claim for additional compensation related to such demolition work; 2) perform the demolition work in accordance with the Contract 3B1 demolition plans, subject to inspection and approval by the County and/or USACE; 3) complete the demolition work on or before May 1, 2018; and 4) await payment of the Demolition Cost until after the owner’s demolition work has been completed, inspected and approved. If the owner is performing the demolition pursuant to the above conditions, deBruin will obtain the building permit from the Town and the County will arrange for transmission to the owner. Contract 3B2 - This involves the sand placement work. USACE is close to finalizing these bid documents. It is expected that this contract will be awarded in late spring/early summer of 2018 with sand placement work to begin AFTER the summer season (post Labor Day). Contract 3B3 - This contract primarily involves 4 to 5 house relocations on the same parcel in Davis Park. USACE issued the Presolicitation (pre-advertisement of bid) on February 27, 2018 and it is anticipated that the formal bid solicitation will be issued this month with award to follow in April and work likely to begin in May 2018. A more definitive update will be forwarded to impacted owners when USACE awards the contract. Commencement of work is dependent upon contractor availability and schedule. 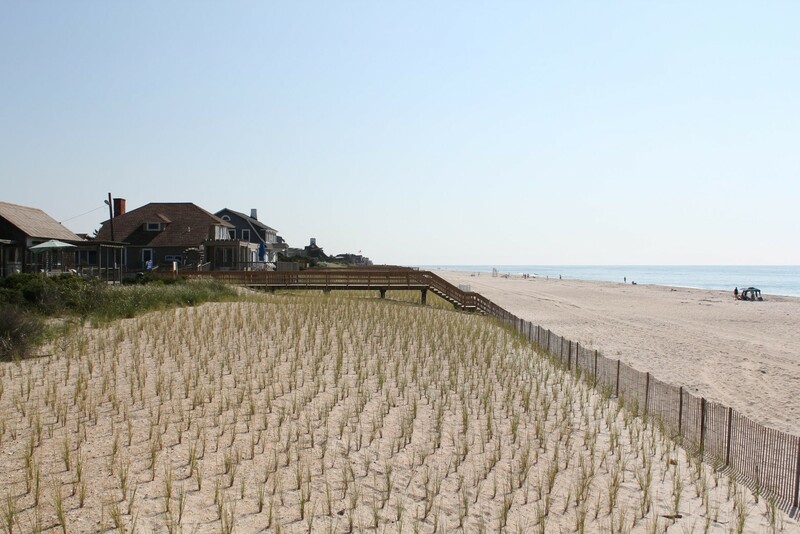 If an owner has approval to construct a dune crossover structure, the general rule that construction cannot occur until after the USACE sand placement has been completed has been slightly modified. 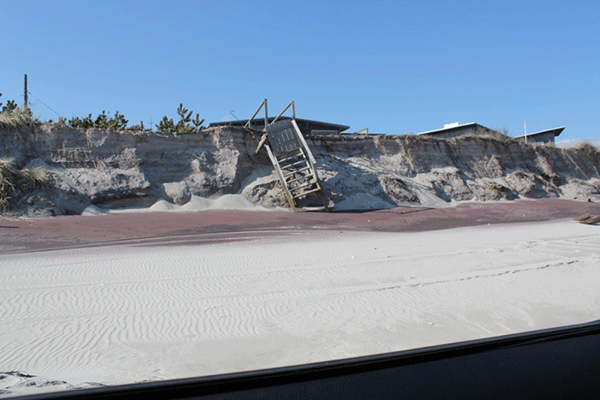 Owners may get a "jump start" on construction of an overwalk structure by installing piles only before the USACE dune placement with the remaining construction of the deck, rail and stairs to occur after the USACE dune placement. Owners considering this should keep in mind that it is impossible to estimate how long after the piles are installed that the remainder of the construction can be completed. 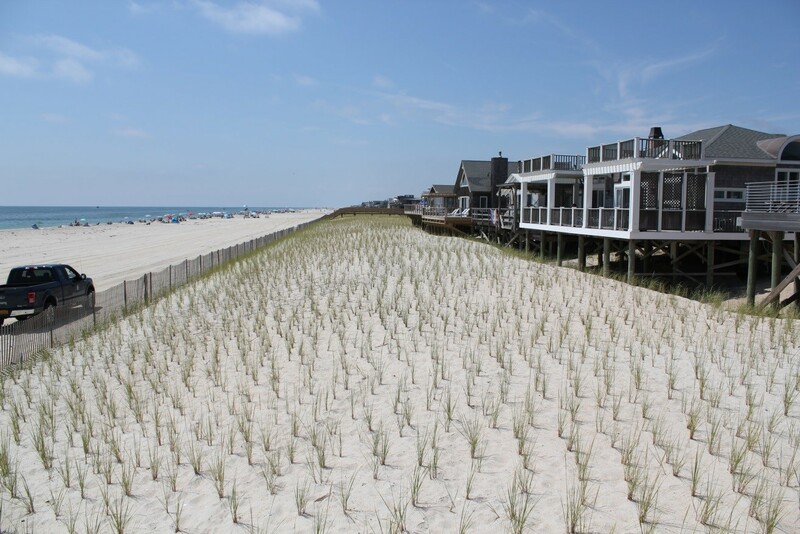 The sand placement construction is estimated to last up to one year so there could be a significant amount of time that the piles will be protruding above the sand. 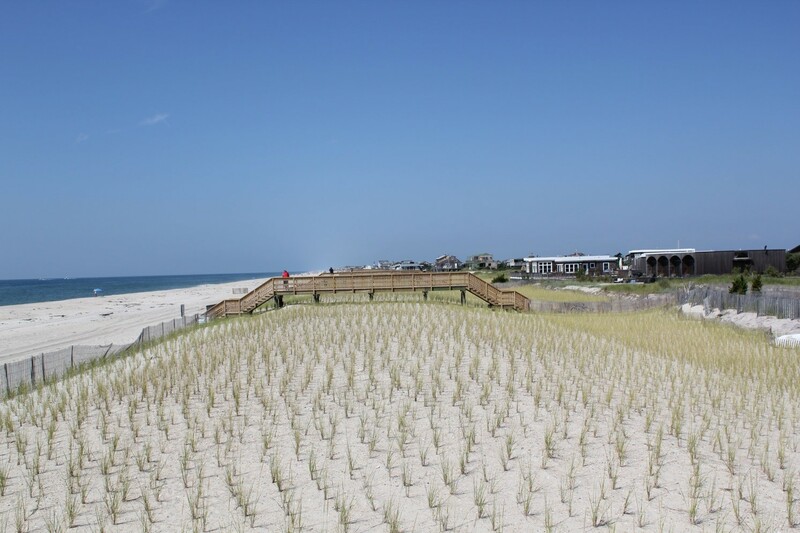 If you want to construct a dune crossover structure in the future, it is necessary for the County and USACE to approve the design plan to make sure the design does not conflict with the dune. 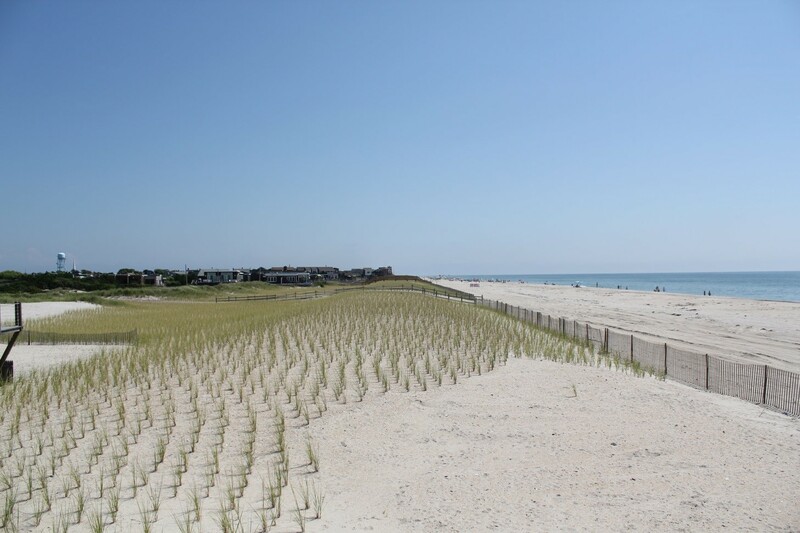 Upon request, the County will provide to you an electronic copy of a design template that shows the clearances necessary between the dune and the crossover structure which you should provide to your contractor or architect. Such approval is separate and apart from other municipal approvals that may be required. 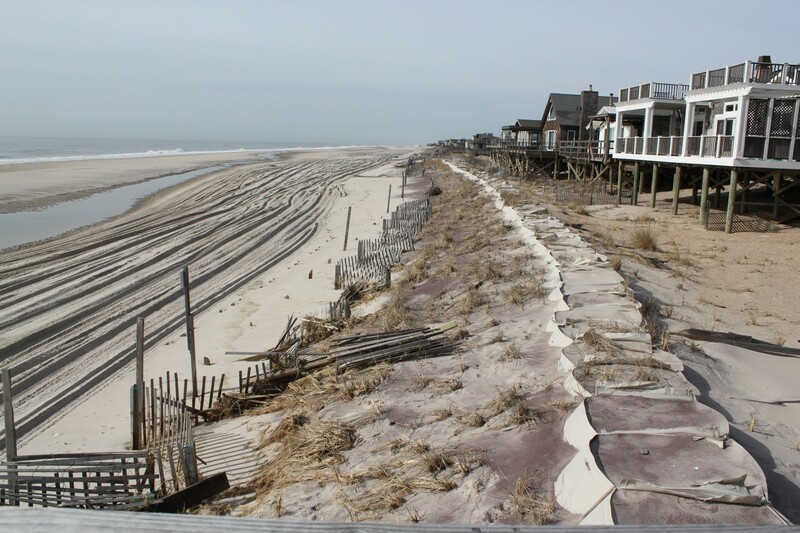 Requests for approvals to construct dune crossovers should be e-mailed to Gil Anderson or mailed to him at Suffolk County Department of Public Works, 335 Yaphank Avenue, Yaphank, New York 11980. If you have a specific question concerning your property, please contact your assigned County acquisition agent or email Janet.Longo@suffolkcountyny.gov who will direct your email to the appropriate person. Contract 3B1 which includes house demolitions, site clearings, creation of a right of way to Cayuga Street in Ocean Bay Park and partial demolitions in the communities of Ocean Bay Park, Point O’Woods, Fire Island Pines and Davis Park was advertised on January 8, 2018. Contractor proposals are to be submitted to the U.S. Army Corps of Engineers (“USACE”) by February 7, 2018 and it is anticipated that the contract will be awarded within a short time thereafter with the actual work to commence in March 2018. 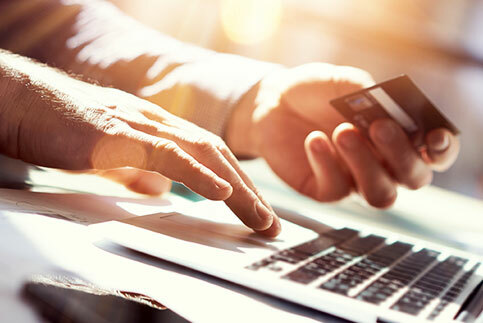 The order of work is dependent upon various factors including contractor availability and updates will be regularly posted and communicated to impacted owners and stakeholders. Currently, the majority of house demolitions will occur in Ocean Bay Park. There is one house demolition in Fire Island Pines and five house demolitions in Davis Park. The Ocean Bay Park demolitions and the work in the vicinity of the Fire Island Hotel and Cayuga Street should be completed on or before May 1, 2018. The schedule for the other house demolitions and the partial structural demolitions in the other communities has yet to be determined and the County will update owners and the community leaders as information is received. The County of Suffolk’s consultant deBruin Engineering, P.C. will be obtaining the building permits for the above work from the Town of Brookhaven after a contract has been awarded by the USACE as such contractor must provide proof of insurance to the Town of Brookhaven before the permits will be released. The County will coordinate with property owners for transfer of the building permits at the appropriate time. 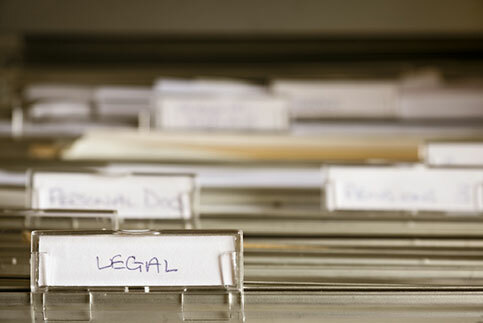 Building permits must be posted on site when the work is being performed. Certain property owners have requested that they be permitted to perform their deck and pool modifications in advance of the USACE contract. Consequently, some owners have been issued building permits under very specific circumstances. In such instances, the property owners have entered into final agreements with the County wherein they have agreed, among other things, to perform the demolition work that was to be performed by the USACE in accordance with the USACE plans, by a date certain and subject to inspection by the County. Further, all aspects of compensation have been agreed to and the easement has been conveyed to the County. Contract 3B3 involving house relocations in Davis Park is expected to be advertised within the next month. Due to the USACE review process, it was necessary to issue a separate contract for this work in order to avoid delaying the demolition work which is time sensitive. Updates concerning Contract 3B2 involving sand placement shall be provided in the near future as the USACE moves closer to bidding that contract. USACE needs to consider the order of work being performed under the above contracts involving structural work in order to best determine how the sand placement contract should proceed. Impacted owners should direct any inquiries concerning the above to the assigned acquisition agent. Dune and berm construction for over half of the FIMI project has been completed! 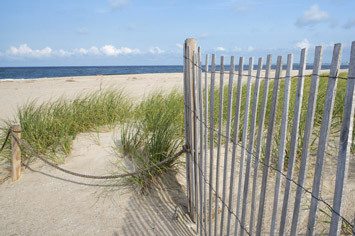 Contract 1: Smith Point County Park was completed in early 2016. 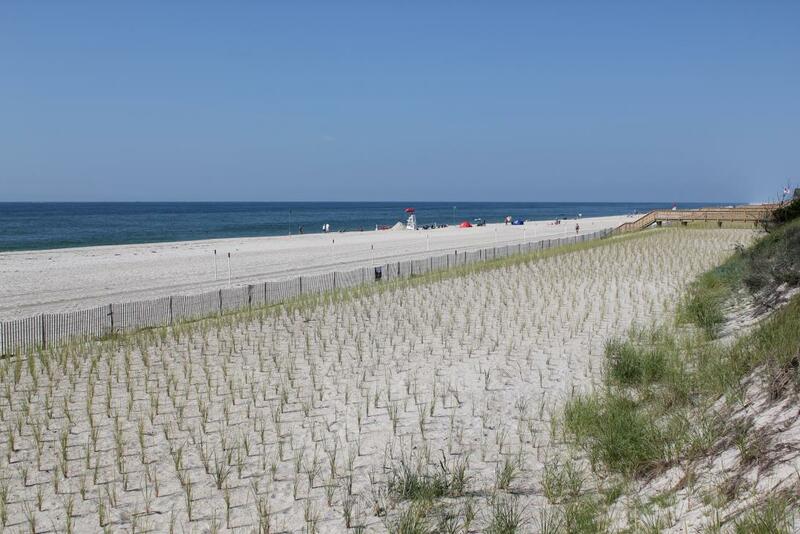 Contract 2: Robert Moses State Park (RMSP), the Lighthouse Tract, and communities of Kismet and Saltaire were completed in 2016. Emergency repairs were also made at Robbins Rest which is under Contract 3A by utilizing sand stockpiled at RMSP. The stockpile was replenished as part of the construction work for Contract 3A which covers the communities of Fair Harbor to Seaview. 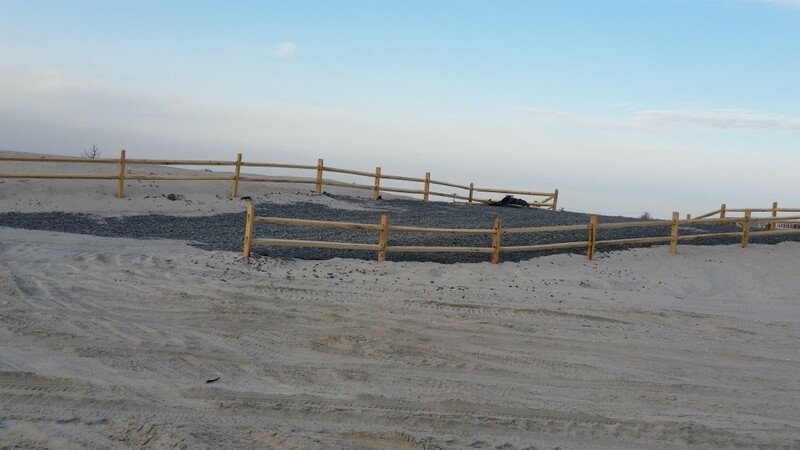 Contract 3A: Fair Harbor to Seaview : All sand placement and dune crossover construction is complete except for completion of minor punch list items including additional grass planting. Construction commenced, after the summer season, in September 2016 beginning with removal of existing ramps and or stairs to beach and installation of new piles. 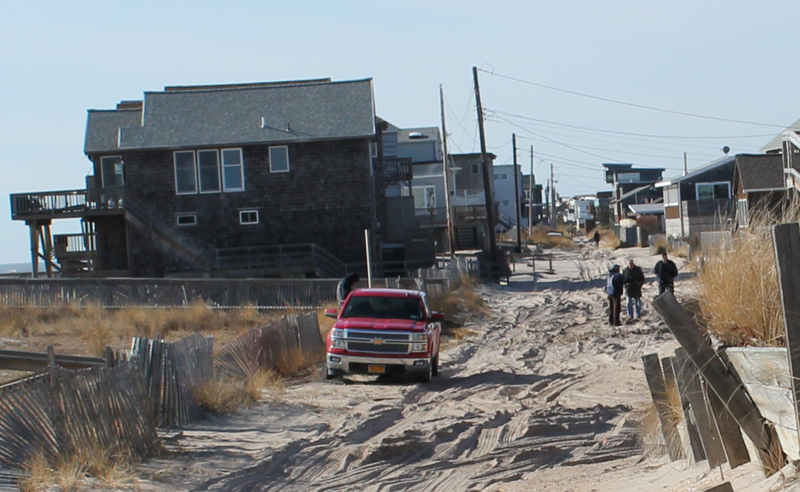 Sand placement began in Seaview in October and was completed in all of the remaining communities ahead of schedule by December 11, 2016 thanks to good weather conditions and minimal equipment failures. GLDD then replaced the sand stockpile in RMSP and has removed their equipment. Contract 3B1: Relocations, Demolitions, Deck and Pool Modifications: Currently, this contract will include all of the house demolitions, site clearings and relocations, deck, pool and wall modifications in all communities in 3B (Ocean Bay Park, Point O Woods, Cherry Grove, Fire Island Pines, Water Island and Davis Park) and creation of a right of way in Ocean Bay Park. The drawings and specifications which define the scope of work for this contract are nearing completion of USACE technical and quality review processes and the bid is expected to be advertised in November 2017 with a contract award by January 2018. 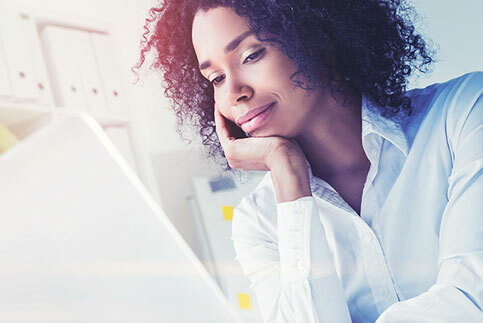 The order of work is dependent upon various factors including contractor availability and updates will be regularly posted and communicated to impacted owners and stakeholders. 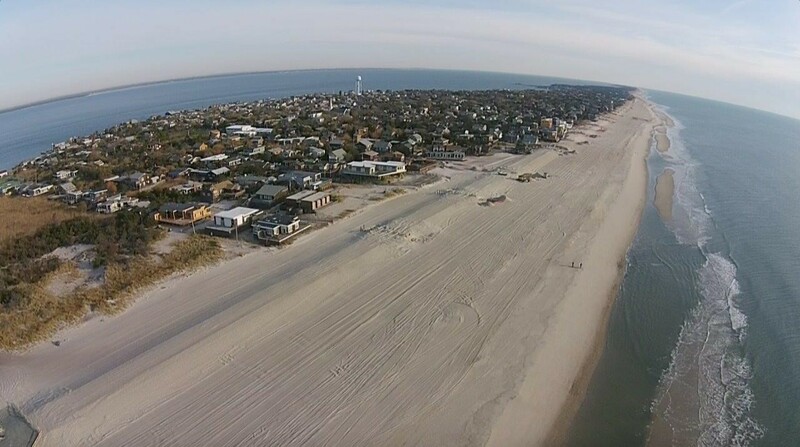 Contract 3B2: Sand Placement, Dune Crossovers, and the remaining Deck and Pool Modifications: This contract will include all sand placement, construction of all dune crossovers and the modification of any remaining deck, pool and wall modifications not completed under 3B1, for all 3B communities. It may also contain the work on Cayuga in Ocean Bay Park if the County is unable to acquire the Easements in time for the work to be included under Contract 3B1. The drawings and specifications for this contract are under way and scheduled to be complete by January 2018. It is anticipated this contract will be bid in early 2018 with sand placement to begin once dredging equipment is available which could occur by Spring 2018. The schedule for awarding this contract is preliminary as it is also dependent upon the progress of the work under Contract 3B1. Schedules are also dependent upon other factors, including availability and scheduling of contractors, and are subject to change. 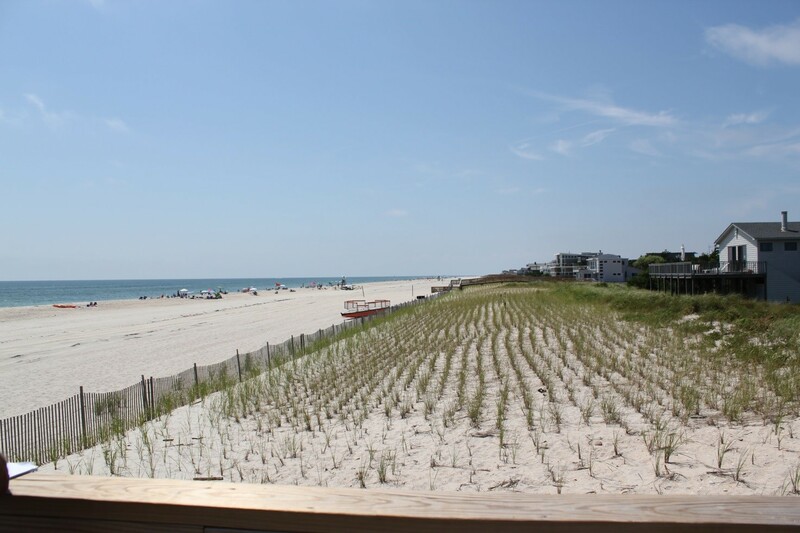 Contract 3C: This contract involves the relocation of the Village of Ocean Beach well. USACE anticipates being able to bid this project in late fall 2017. 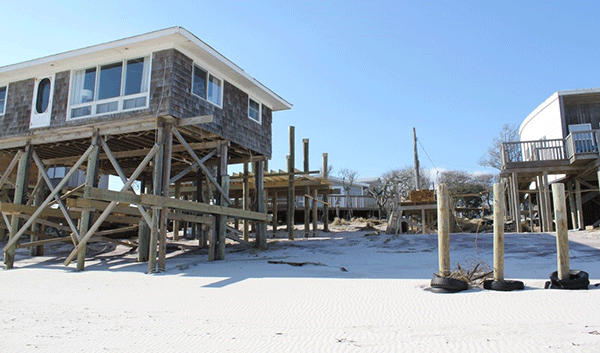 Dear Oceanfront Property owners: The above provides a general update for the FIMI Project. If the County has sought to acquire an easement on your property and you have any questions, you should contact the County acquisition agent that is assigned to work with you or call 631-853-5947. The County has acquired or will shortly acquire all of the real estate interests necessary for the USACE to move forward with the contracts. 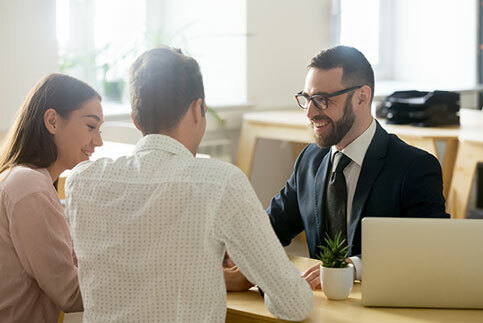 As you know, the process for acquiring easements on properties where modifications are necessary has been quite extensive beginning with design and culminating with offers and permits. We appreciate your patience during this process and believe we can sprint over the finish line together. To do that though, we will need your help. Offer letters and agreements are being sent to property owners as soon as they are ready to be sent. The sooner you respond to these letters, the sooner we can move forward with obtaining the the necessary agreements and easements in order for USACE to move forward with the contracts. We have received wonderful feedback from the owners and stakeholders in the western communities where the project has been completed and we want our eastern communities to receive the same benefits and protections as soon as possible. Thank you from the FIMI Team.